Stop saying “smooth,” to start. I keep an empty mini bottle of vintage I.W. Harper on my bar—not because it’s worth $9.99 according to eBay, but because once in a while I like to unscrew the top and take a whiff of old leatherbound book wrapped in butterscotch. It’s one of those bourbons that latches on and reminds you that nothing else will ever taste like that again. But also because this bourbon, unlike any other I’ve had, broadcast its particular DNA immediately upon opening. It was an antique book you’ve taken off the shelf at some bookstore with creaky wooden floors, all worn leather and crackly yellowed pages and the kind of writing you wish were still in fashion, but enveloped in warm butterscotch. Never has a bourbon given up its secrets to me so easily. 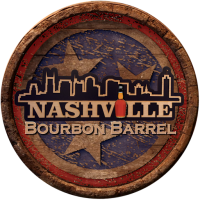 I live in the beating heart of bourbon country—Louisville, Kentucky—where the only thing people in my circles do more than drink bourbon whiskey is talk about bourbon whiskey. All told I’ve spent days (probably weeks) of my life at distilleries and bars, tastings, and barrel picks. Nothing smells better to me than a rickhouse on a sweltering day when the very air seeps bourbon. And I’ve done my journalistic due diligence and taken a hands-on course in the ways of whiskey, bringing home a hundred percent on my test and a label to put on my bios: certified bourbon steward. But when it comes time to sit down and talk about bourbon like I know what I’m talking about, I freeze. I know more than the average Joe, but around here that’s like the class valedictorian trying to hang with the Ivy League. I don’t know jack compared to the people I’m often sipping side by side with. It didn’t help my intimidation when I saw a Facebook post from Chuck Cowdery, a bourbon author and expert (and friend I picked up on a bourbon media trip). Leaving aside that this is the kind of bourbon elitism that can turn people off our little world, I wanted to know what a person should say if they find a whiskey easy-drinking, mellow, and generally pleasing as it slides down our gullets to warm our bellies. So I asked. I went to Cowdery. And I also pressed Old Forester’s master taster Jackie Zykan—who literally describes whiskey for a living—into instructing me how to use our words to talk about bourbon. First, let’s get to the smooth comment. And that’s where we can get stuck. When anything is fair game for an analogy, where does a person even start? Enter Zykan. Ten years behind a bar, a background in biology and chemistry, and her talent for finding a story in a glass of whiskey brought her to her starring role with Old Forester. The first thing you should know is she wishes there was no such thing as tasting notes. “I swear, I wish we didn’t write them, I wish we didn’t provide them,” she said. “They’re such a tiny part of the whole picture.” And once you have that seed planted, she explained, you’ll never get past it to form your own ideas. Bottle says cherry or cardamom? It’s over. That’s what you’ll taste. But how does she get to that point? How does she isolate grilled tangerine, in the case of their newest offering, President’s Choice? 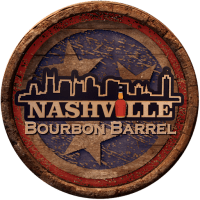 (FYI: that’s named for its backstory—it comes from barrels picked by the company president and was only available to important company presidents back in the day—not for, well, you know.) I sampled this limited release—that sold out about five minutes after the doors opened at the shop in their new urban distillery in downtown Louisville—and there were no grilled tangerines in my glass. Just a really excellent version of the Old Fo that I keep on the bar at home. But. “If there’s going to be an outlier note that will set it apart, something unorthodox, here’s your totem tasting note for this product and it will be there immediately,” she said. If you’re still stuck on smooth, she has some tips. Sweet aromatics like vanilla, butterscotch, caramel, molasses, honey, chocolate. Fruit is always there, but be specific, she said. Dark fruit, apples; if it’s lemon is it lemon peel, is it Meyer lemon? And bonus, “perceived heat is a really good one,” she said; how hot, or high proof does it taste? Seriously. “You cannot wear perfume and taste bourbon, I’m sorry, you have to start neutral,” she said. “I was the biggest product junkie of all time but it all has to be scentless.” That includes lip balm, lotion, hairspray, all of it. It turns out there’s a reason you taste vanilla or grilled tangerine or whatever when you try bourbon: science. And that was my personal bourbon aha moment. Here’s another one. Say you get notes of movie theater popcorn butter when you try a bourbon. That’s diacetyl. It comes from the corn. Sure, at the end of the day, it’s great to be able to rattle off some obscure tasting note that you’ve discovered in a bourbon. But “it doesn’t always happen,” Zykan said.